With a completely new platform, more fuel efficient engines and new safety technology, the all-new 2015 Volvo XC90 SUV signals a new direction for the Swedish automaker. 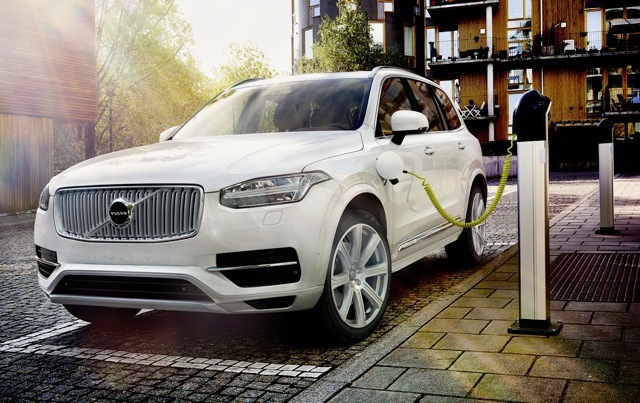 Volvo has officially unveiled the 2015 XC90, including the new plug-in hybrid version that not only generates 400 horsepower, but also has ultra-low emissions and can travel up to 25 miles in EV mode. Yet its most salient quality might be the auto braking function. 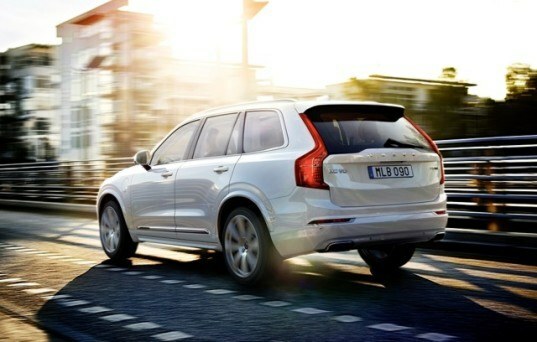 The 2015 XC90 will also introduce a host of new technologies that brings us another step closer to self-driving cars. The XC90 is the first car in the world with technology that features automatic braking if the Volvo driver starts to turn in front of an oncoming car that is going quicker than expected. City Safety becomes the umbrella name for all of Volvo Cars’ auto brake functions, which are standard in the all-new XC90. It now covers vehicles, cyclists and pedestrians in front of the car, day and night. Volvo has unveiled the 2015 XC90, including the new plug-in hybrid version that not only generates 400-hp, but can also travel up to 25 miles in EV mode.